Showing results for tags ' offroad'. These are some UTVs (named Shrunkettes) my Dad sold as a distributor back in the early 80's. They received a lot of attention but they didn't sell very well. I think the base model was approx $3500. The Deluxe model $6500. No wonder they didn't sell!!! Even though today's UTV's go for approx $14-16k. My Dad had one base model and two Deluxe for display. They were neat little all terrain vehicles. The base model ripped!!! Too bad they were before their time and so damn expensive back in the day. The Company went belly up and they are no more. I made the PDF from the last known brochure. Shrukette Brochure . 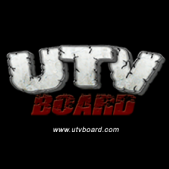 CASTING CALL ONLINE OFF ROAD REALTY TV SERIES Do you have a reality show idea based around your passion for off roading and the lifestyle you live? Are you creative? Do you think outside of the box? Are you a character and willing to share your life for all to see? 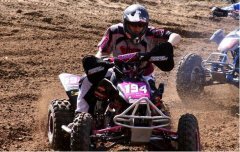 Do you compete in any type of off road racing? (Not necessary) Have a story that just needs telling? We want to hear all your ideas. We are is looking for talented individual’s and personalities like yourself who may have an idea or want to star in an off road reality series based around off roading and the lifestyle we love. If you have an idea or know someone who wants to be in reality show contact us with your pitch. Guidelines for presenting ideas •	Video submittal: will be no more than 2:00 minute long describing your pitch idea. •	Written submittal: describe in 300 words or less your concept idea and why you think your idea will work for reality. 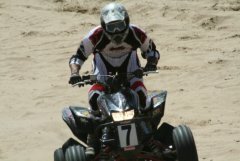 •	Individual Casting Calls: individuals who think they have what it takes to be in an off road reality show must send a bio and a brief description about yourself and why you want to be a part of an off road reality show. Email all submissions to: [email protected] Please submit all videos using https://www.wetransfer.com If your pitch is selected we will contact you and discuss what the next step will be. 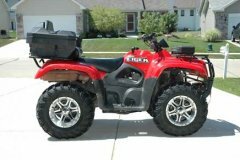 What offroad vehicles would you buy if money was not a conern? A couple years ago I was given an old warrior. My kids had a hard time riding it, so we decided to make it into a 2 seat off road gokart. I am currently one off the Venturing Boy Scout advisors, so I enlisted the help of the boys to work on the project. We started the project in October but I forgot to take pictures till last week. We dont make fast progress since we get together at most once a week and not every week. We have the quad mostly stripped, I have gotten most of the plans worked up for the frame, and we have most of the main frame pieces cut and bent, some welded. I will post some pictures tonight is I get a chance. WillyPoP posted a topic in General Talk - Anything Goes! how many of you folks use iphones? how many use the special apps? would there be any interest in apps designed specifically for the "off roading" community? are there any specific designed already that you use regularly? I don't know if there's anyother thread of this. 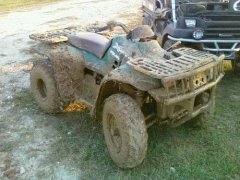 But the Hippie's are trying to banned all type of offroading from ATV's to Trucks. So here's a quote I got to pass on to my other ATV site's I signed it I'm #993. .